What makes the church church? In this volume, theologian Veli-Matti Karkkainenn up-to-date survey and analysis of the major ecclesiological traditions, the most important theologians, and a number of contextual approaches that attempt to answer these essential questions. Drawing on his international experience, global research and ecumenical awareness, Kärkkäinen presents an overview of both traditional and contemporary expressions of the Christian church. An Introduction to Ecclesiology will richly reward the student, pastor or layperson who is looking for a comprehensive and insightful overview of the unity and diversity of understandings and practices within the one church of Jesus Christ. 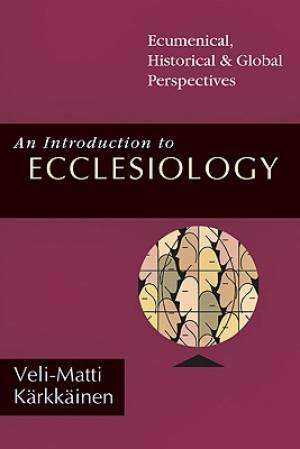 An Introduction to Ecclesiology by Veli-Matti Karkkainen was published by IVP (USA) in October 2002 and is our 29599th best seller. The ISBN for An Introduction to Ecclesiology is 9780830826889. Be the first to review An Introduction to Ecclesiology! Got a question? No problem! Just click here to ask us about An Introduction to Ecclesiology.